Get the newly released Blu Life ONE X2 5.2″ 4G LTE GSM Unlocked Smartphone (64GB Storage/4GB RAM Model) for only $184.85 with Free Shipping. Quick Charge 3.0, with just 30 minutes of charging get up to 70% battery or with only 5 minutes get up to 2 hours of talk time. 4G LTE, (2/4/7/12/17), 4G HSPA+ (850/1700/1900/2100). GSM Quad band: US compatibility Nationwide on all GSM Networks including AT&T, T-Mobile, Cricket, MetroPCS, Straight Talk, Pure Talk USA, and others. 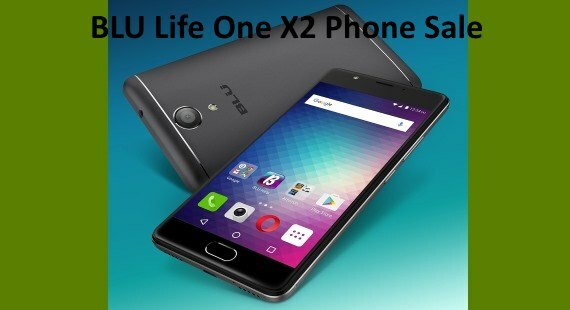 Buy the BLU Life One X2 Phone on sale now at Amazon with free shipping.